See KEY WEST in action mode with one of our 49cc Scooters, just bring a regular drivers license, be 18 years of age or older and you’re on your way to the highlight of your vacation. Our scooters will accommodate a driver and a passenger. Visit all the historic sites, stop for lunch and visit the beach zone all in one quick ride. 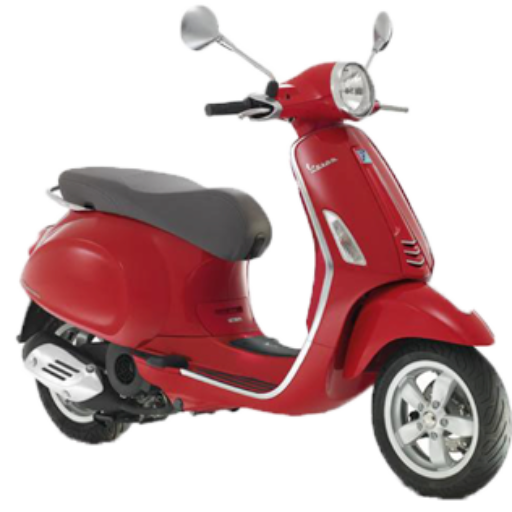 Our expert staff will fully train you in the safe operation of the scooter in just a few minutes. Best of all, No security deposit is required with the purchase of our No Worry Waiver, an $10.00 additional fee. Don’t wait for them to sell out- Reserve your Scooter Rental now- we’ll have it all ready when you arrive. Helmets and Fuel are included in posted rates. We also offer weekly and monthly rentals. Scooter Drivers must have a valid Drivers license and be over 18 Years of Age. Please bring your sunglasses, drivers license and credit/debit card. Experience Key West in an active way on one of our finely tuned bicycles. Go places the big trolleys cant and experience all the local charm of St. Augustine. Visit our quaint shops and galleries, experience our local cuisine and do it all on your schedule. Our local staff will be happy to recommend several awesome routes for your enjoyment. No parking worries, just good clean fun. 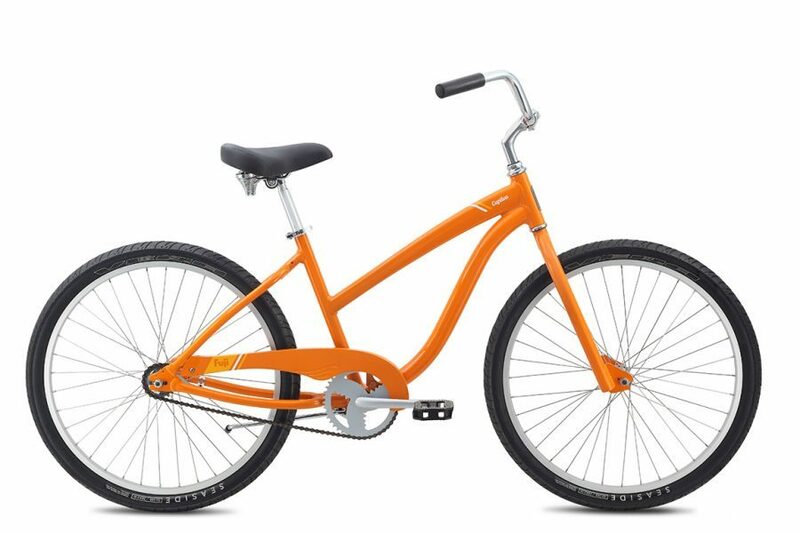 We offer single and 3 speed cruiser style bikes, all set up with baskets,locks and lights. Helmets are optional and free if you’d like one. Dont forget the kids- we have bikes to fit them as well. All Key West Bike Rentals come with a free lock, helmet and basket for your gear. Book yours now!! Get the family together for a day of fun and excitement on one of our Street Legal Karts. Our carts carry up to 6 people so don’t leave anyone behind! Visit all the Downtown historic sites and attractions, stop and go wherever you like and visit the real Key West where the trolley’s cant fit. Why buy 6 trolley tickets when you can have your own Street Kart for less? Please bring your drivers license, credit card and be over 21 years of age. best of all, No Security Deposit is required with the purchase of our No Worry Waiver, an additional $12 fee. 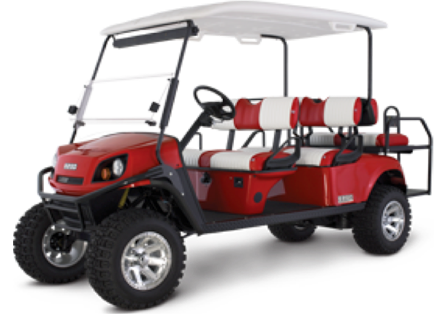 Key West Street Kart Rentals are always in high demand so PLEASE reserve in advance, we’ll have it ready when you arrive! The ScootCoupe is the ultimate side-by-side Scooter, designed to carry two passengers in maximum comfort and safety. One person can drive while your partner takes photos and enjoys the local scenery with you. 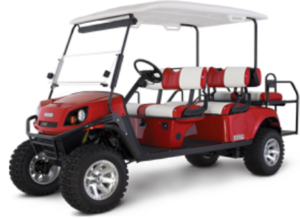 No one has to sit on the back so its real easy to converse and enjoy all the local historic sites and attractions. ScootCoupes are permitted for free downtown parking so get ready for your famous Key West tan and the time of your life. 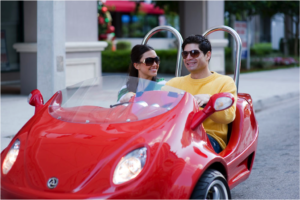 Just bring your drivers license, credit card and be over 21 years of age to rent a ScootCoupe. Our staff will train you in the safe operation of the ScootCoupe and in just a few minutes you’ll be on your way. Best of all, No Security Deposit is required with the purchase of our No Worry Waiver, an additional $15 fee. These sell out quickly so PLEASE reserve yours now- Well have it all ready when you arrive!